Well, me actually. And Beth’s a Mummy too. 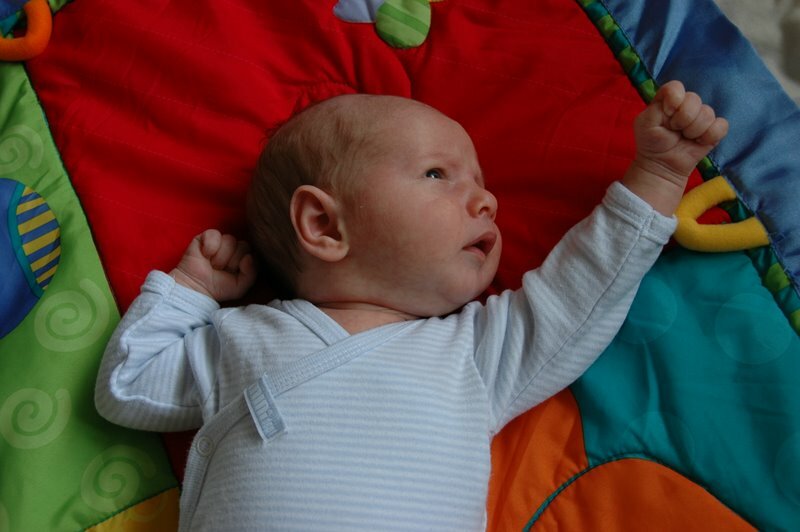 The miraculous birth of Henry in May marked the beginning of an exciting new chapter for us. For once (maybe twice, if you count our wedding) bikes haven’t taken preference in this household for a good few weeks. It’s difficult to sum up in words the joy, elation, excitement, happiness, tiredness and even worry, to name only a few of the emotional feelings we’ve experienced over the last few weeks. When we’ve had spare moments we’ve taken quite a few photos. In fact, it’s easier for us to portray our lives, moods and experiences through pictures rather than words. We’ve started a photo blog, called Un Mil Geiriau (a thousand words, in Welsh), which hopefully is nice and easy to update. We seem to have accumulated a huge collection of photos over the years, some of which wouldn’t see the light of day if I didn’t make the effort to share them with others. The theme that surrounds the blog also changes to reflect the tone of the picture to give each page a totally unique feel. See you started a new category for the lad too!! !